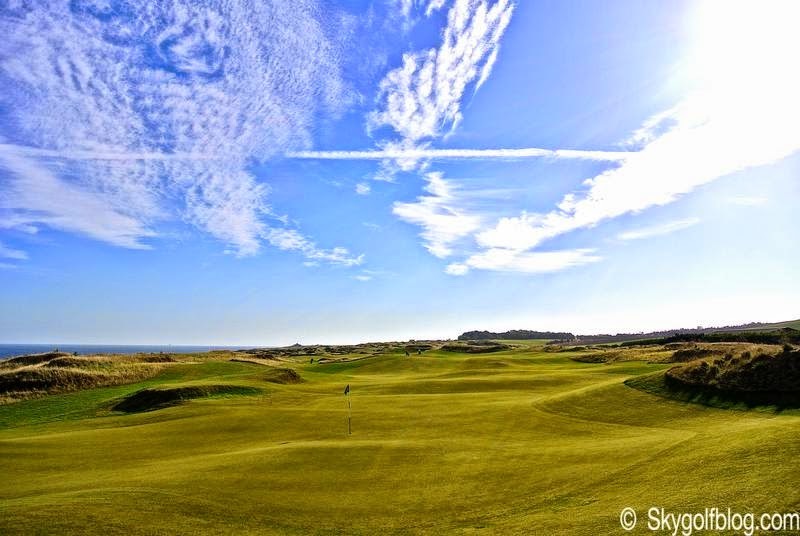 When the Castle Course opened in 2008 it was the first new golf course built for the St Andrews Links Trust in over 100 years, the seventh course at the Home of Golf, and the first ever outside of town. 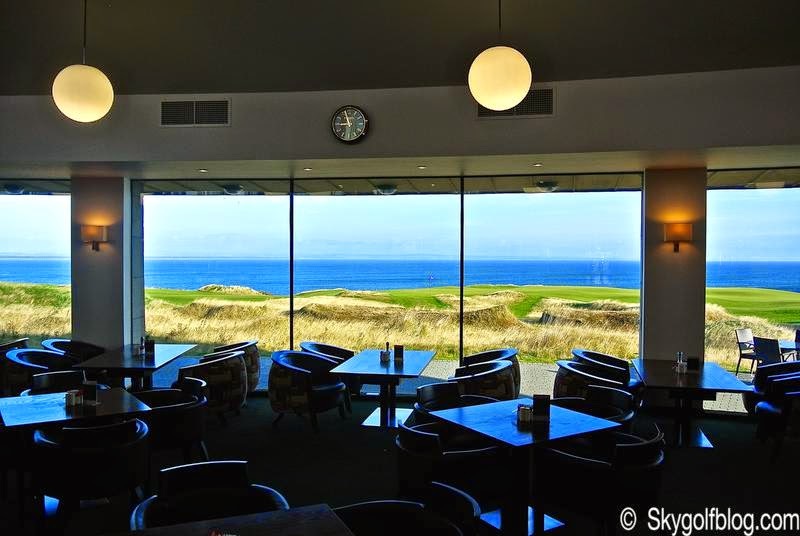 Scotsman architect David McLay Kidd, creator of Bandon Dunes (ranked 6th among America's greatest public courses), transformed 220 acres of land along the coast 2 miles east of city center into a "modern links" layout comparable to Kingsbarns, Trump Scotland and Castle Stuart. 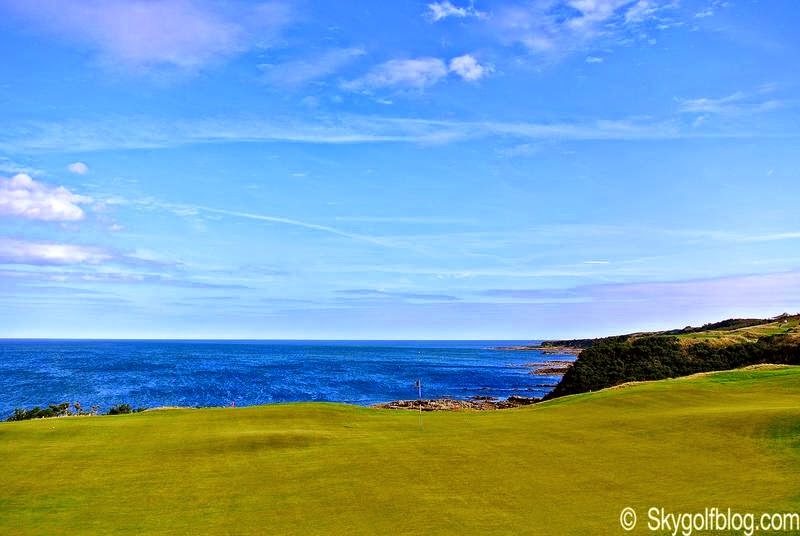 Maybe the most spectacular course in St. Andrews, without taking anything away from the Old Course. 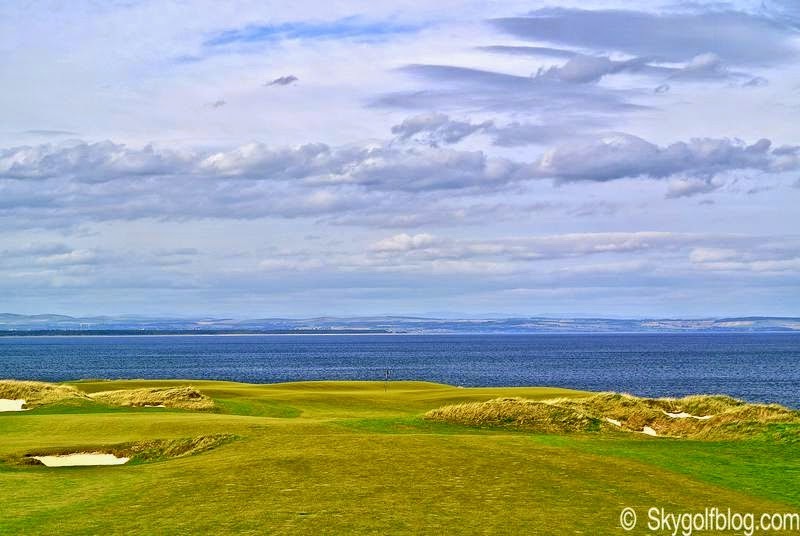 The course takes its name from Kinkell Castle, which, five hundred years ago, stood on a headland known as Kinkell Ness in the late Middle Ages, near the current location of the clubhouse. 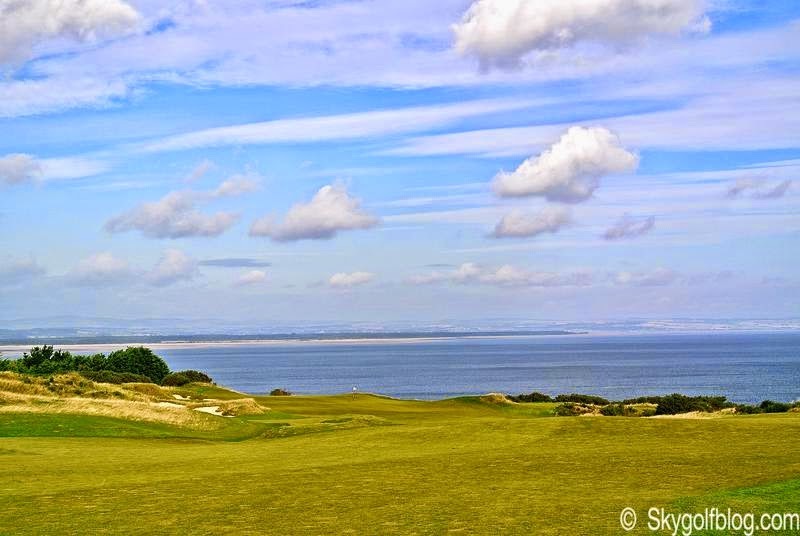 Actually the name for the new golf course was suggest by Edwin Burtnett from Tampa, Florida who won in 2006 the worldwide competition to name the course. 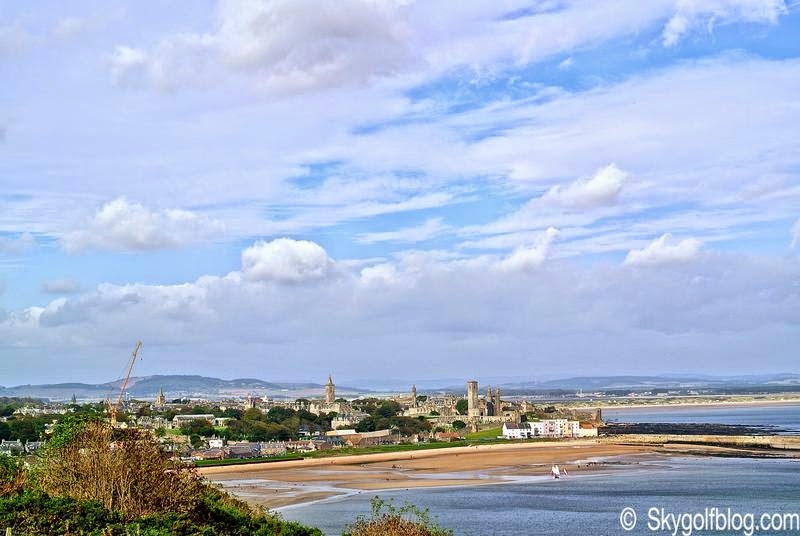 He came up with the name after reading about Kinkell Castle which occupied part of the site and by winning the competion, Edwin had the honour to struck the first tee shot during the opening ceremony. The course logo, a knight helmet, is adapted from a Scottish peer’s helmet which forms part of the Monnypenny family crest, the family that owned the land since 1211. The views are terrific. 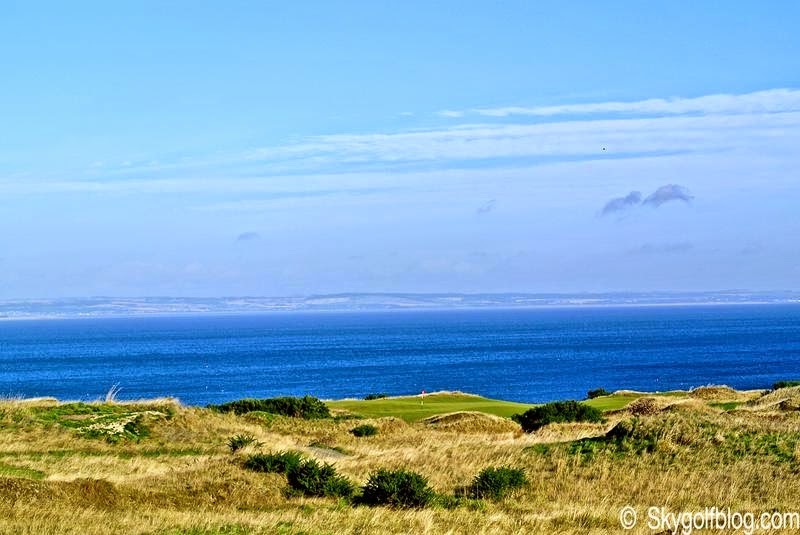 The North Sea is visible from nearly every hole, and from some of the holes The Castle Course provides breathtaking panoramas of St Andrews and St Andrews Bay. 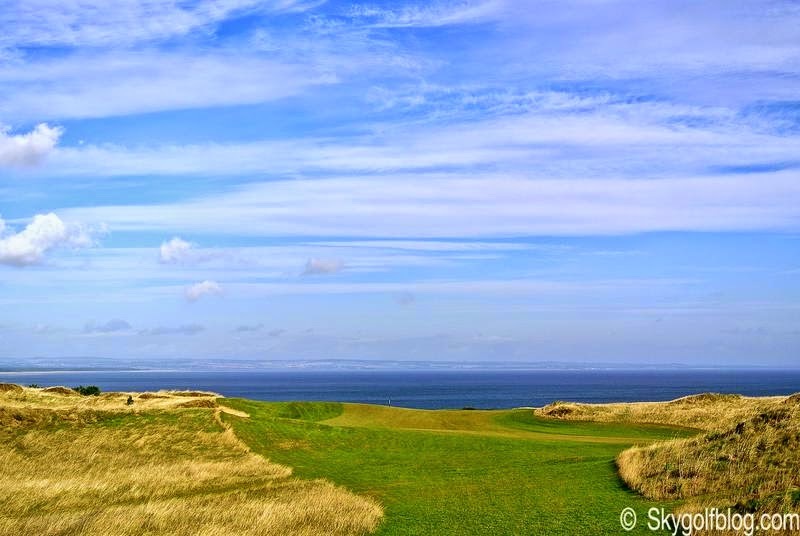 Not to mention the holes bordering the cliffs, that are literally astonishing. 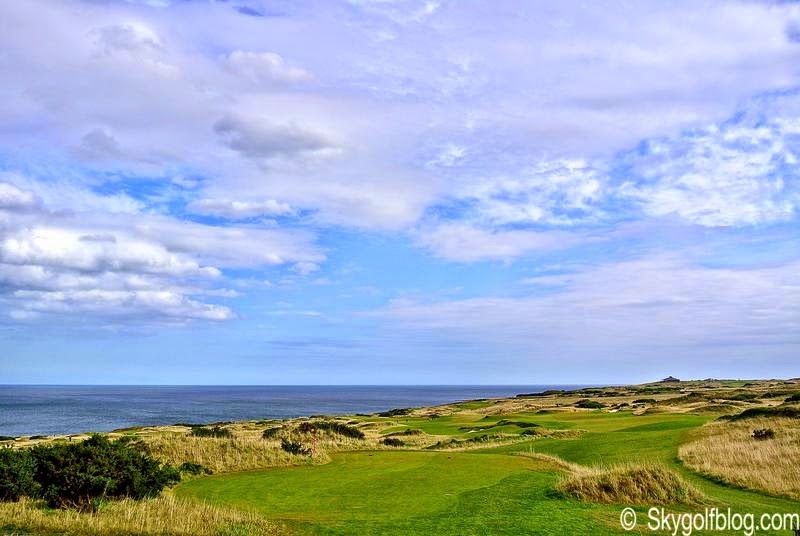 The Castle Course is one of the masterpieces in McLay Kidd's portfolio, and one of the highest point in his career. 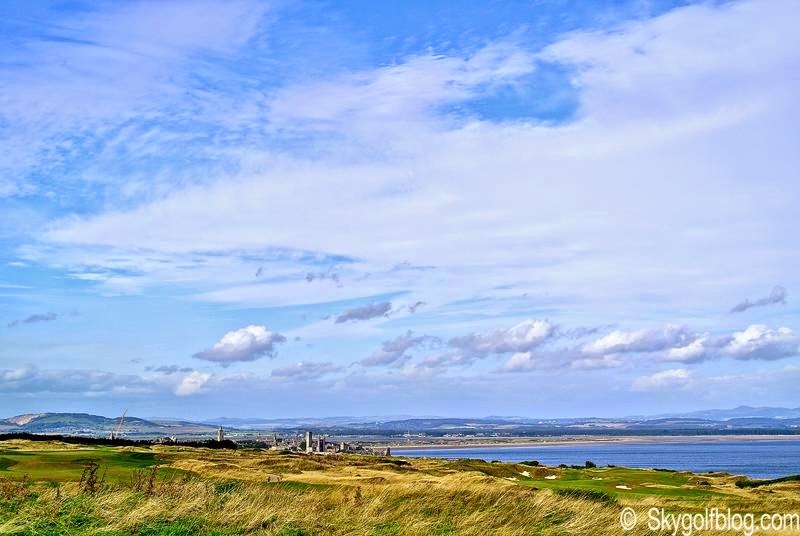 An high-end golf course, located at a special place, that despite some controversial reviews received during the years, apart from the Old Course is the busiest golf course in Scotland. 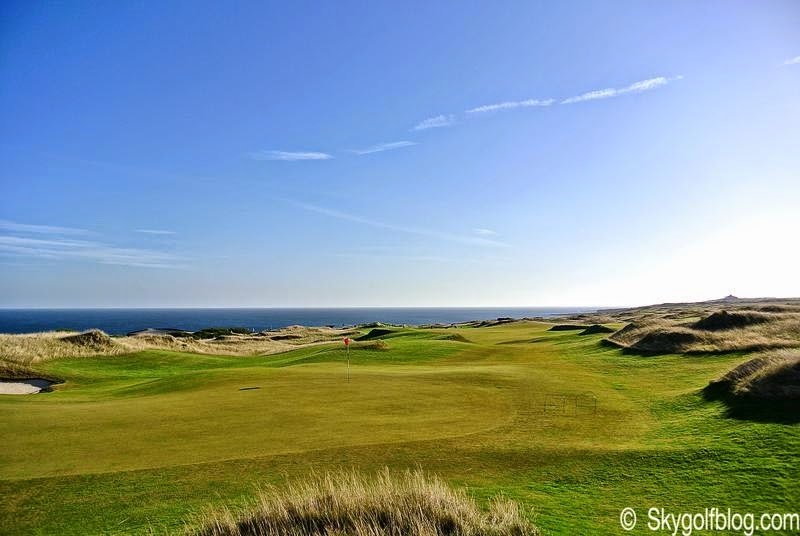 The critics regarded mainly the green complexes, at times severely undulating (several green were softened right after the opening). 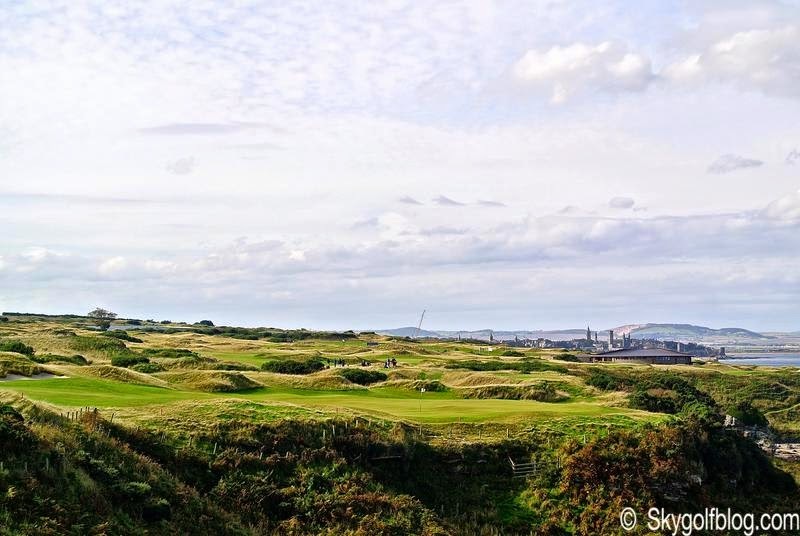 Some golfers can consider them unfair, but in my opinion their are part of the challenge and well integrated with the character and the nature of the course. 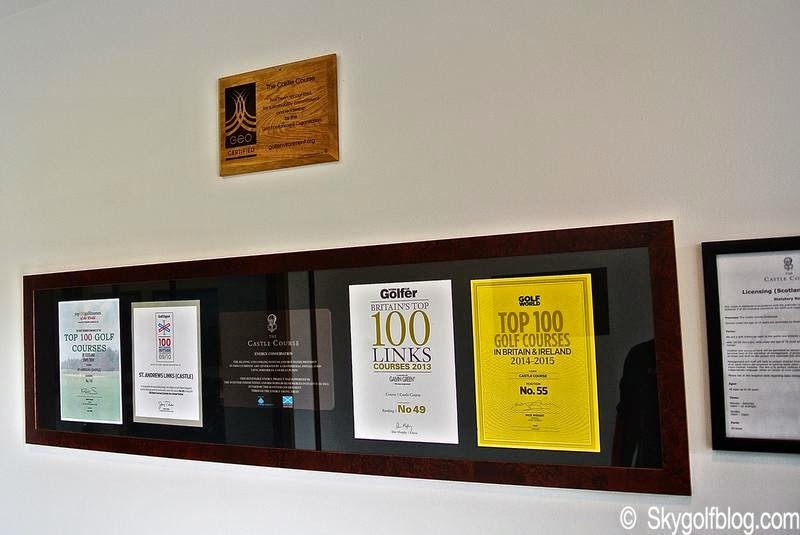 Its best attribute is its unique and unforgettable location. McLay Kidd and his team completely transformed this former farming ground, with an incredible amount of earthworks and shaping done to create the various features. 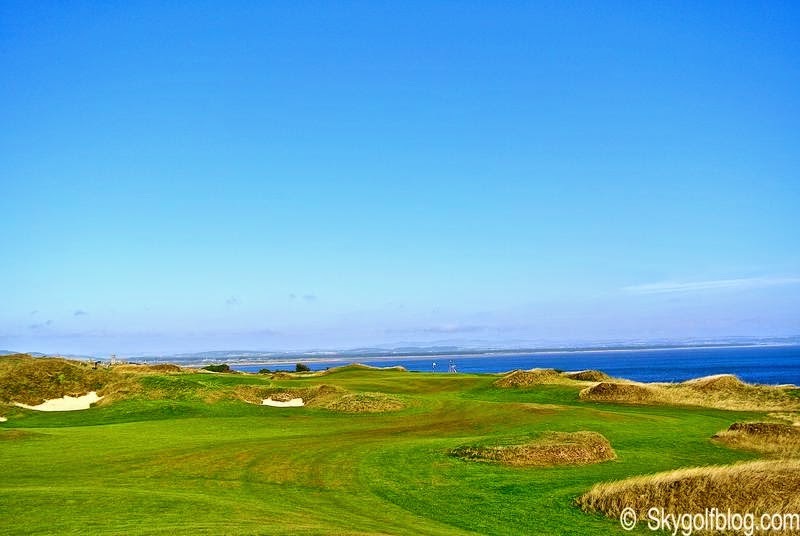 Following his philosophy, the architect designed every golf hole to fit as seamlessly as possible into the natural landscape. Sometime his work his found a little unconventional provoking contrasting reactions, but the result in this case is impressive. 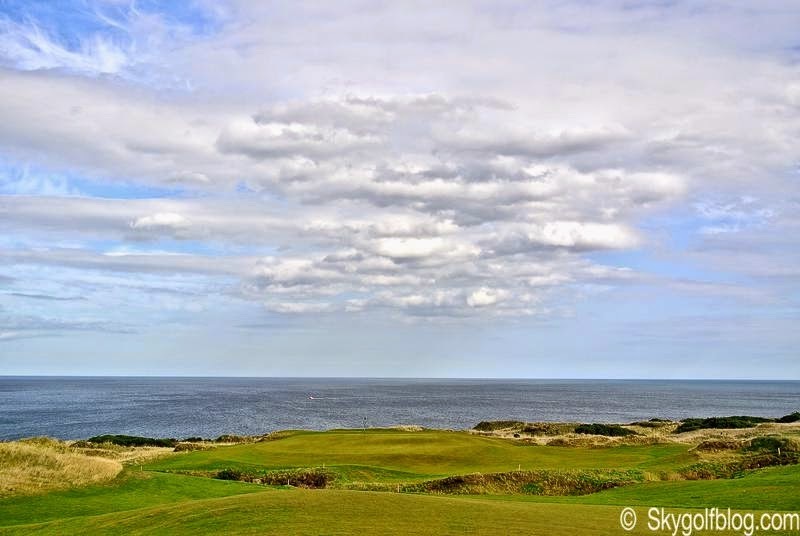 What once was described as an "hillside of rotten rocks" today is one of the most awarded golf courses in Scotland. 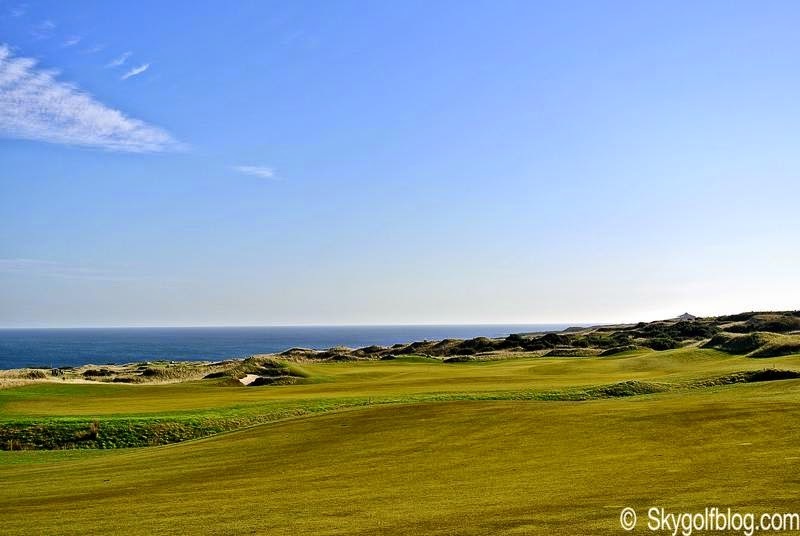 The par 71 course has five tees on every hole which vary the length from 5460 to 6759 yards. The championship length is 7188 yards (73,6/139). 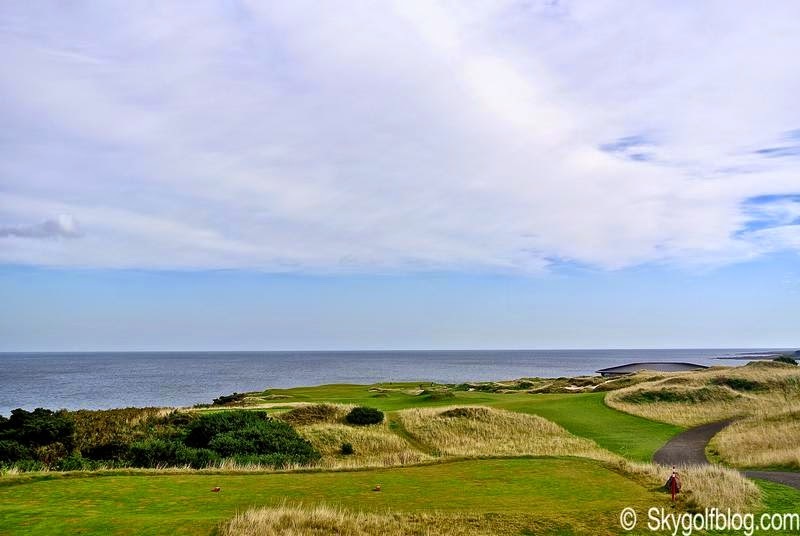 Among the most memorable holes are the 421-yard, par-4 6th, which runs downhill towards the sea and provides an incredible view of St. Andrews, and the 585-yard, par-5 15th, where the small green is protected by a burn in the front. 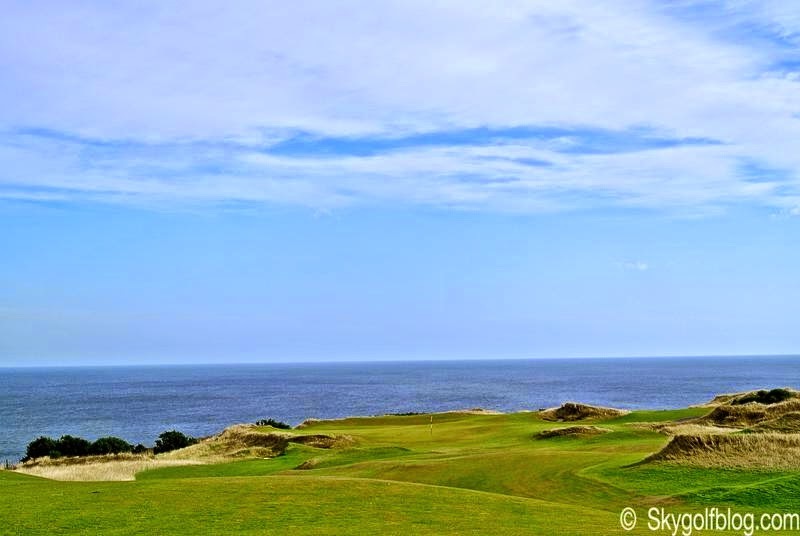 But it will be on the signature hole 184-yard par-3 17th, with its intimidating tee shot across the ravine on the edge of the cliffs, that your score will be decided. 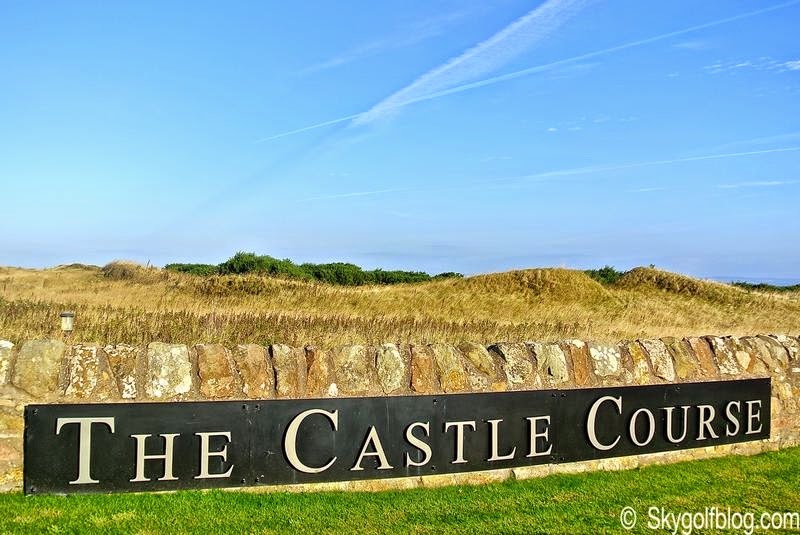 The Castle Course is a challenging true test of links golf different from the other courses in St. Andrews. 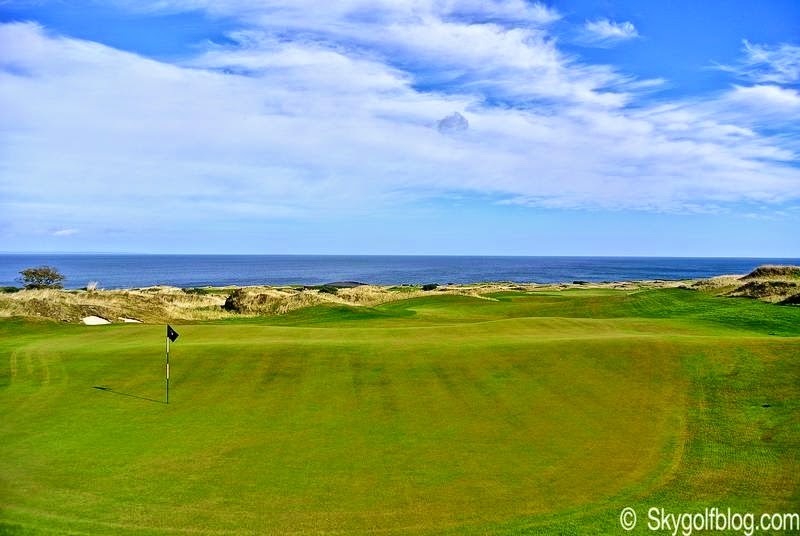 To do not underestimate the greens and fun is guaranteed.